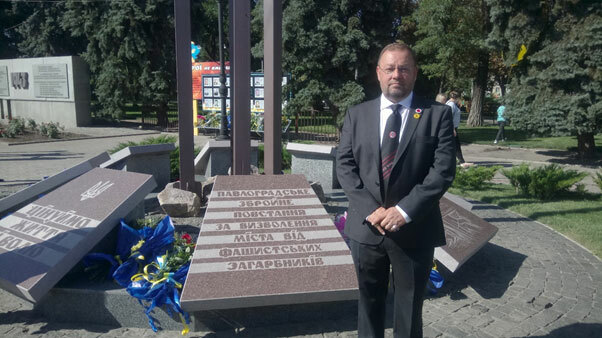 International solidarity between the miners of Ukraine and the UK goes back a long way. It was Welshman John Hughes and Welsh miners who travelled to Ukraine to develop the Donbas coalfields in the Nineteenth Century. In the fifties and sixties there were regular trade union exchanges. 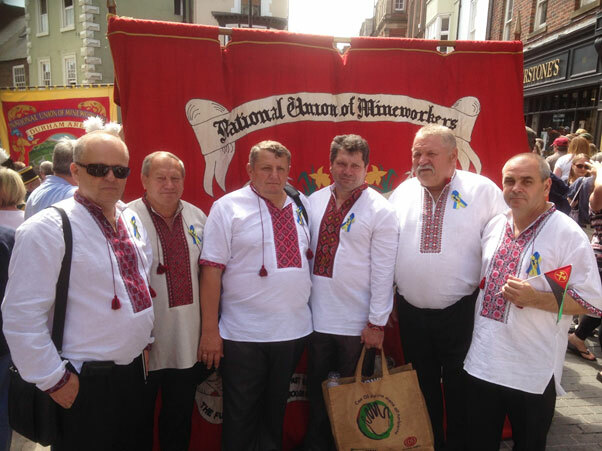 During the 1984/5 strike the Ukrainian miners raised money and food to support the striking UK miners. In 2007 after an international miners’ union conference in India it was agreed to restore regular solidarity exchanges. 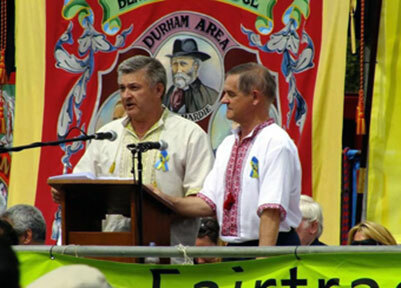 Even in 2014 after the tragic upheaval in Ukraine leading to the Maidan revolution and the overthrow of their corrupt President Yanukovych a delegation from the Mineworkers Union of Ukraine (PRUP) came over and addressed the Durham Miners Gala. 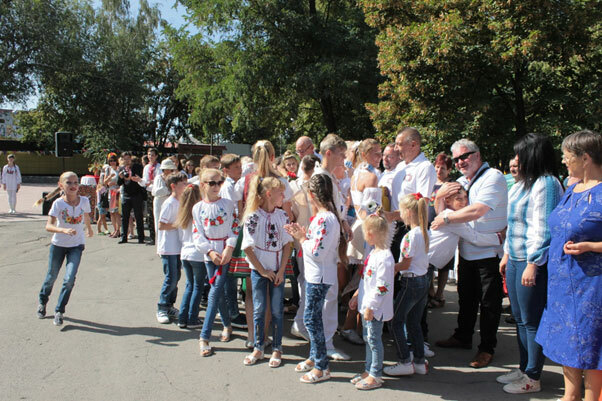 This year, on the 55th anniversary of the establishment of the Pavolograd, Western Donbas coalfield, a group of representatives of the NUM attended the celebrations of Miners Day and Independence Day alongside miners and Union representatives. The Pavlograd coalfield has enormous reserves. It consists of ten coal mines, part of the DTEK energy company. Together they employ around 20,000 workers in the area and produce around half the entire coal production of Ukraine, around 20 million tonnes which is used to supply local power stations. 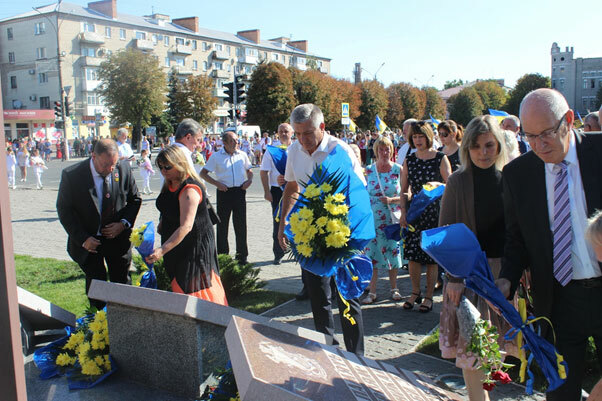 Each year the miners and townspeople come together to celebrate Miners day and Independence day but also to lay flowers at the town memorial to all the victims of war, from the Cossack wars of the sixteenth and seventeenth centuries, to the victims of the Holodomor (Stalin’s forced famine which killed around 5 million people between 1932-33) , the victims of the Nazis in the fight against fascism and more recently the 18 local miners who have died fighting on the front line to protect Ukrainian independence from Putin’s invasion of parts of Eastern Ukraine. Chris Kitchen laid flowers on behalf of the NUM. A march through the town by local miners and veterans of the current war with their bullet holed flags was a reminder of the current difficulties faced by the town and the country and the sacrifice currently being made by the local population. 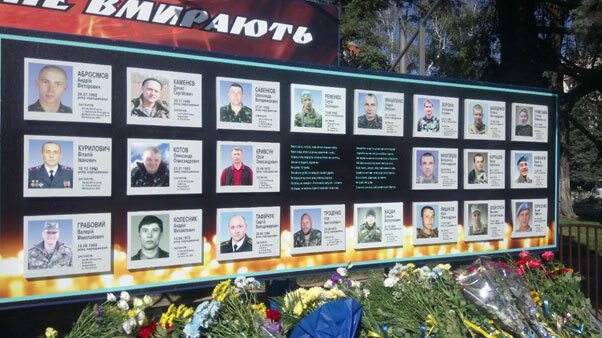 This commemoration was followed by a celebration of Ukrainian independence. Cossacks with flags, families and young children dressed in national costumes singing Ukrainian songs and even an English song. Many present were brought to tears when many of the young people ran over to the NUM representatives and wives and hugged them, thanking them for visiting their town. Pavlograd is a coal town but also a Union town. 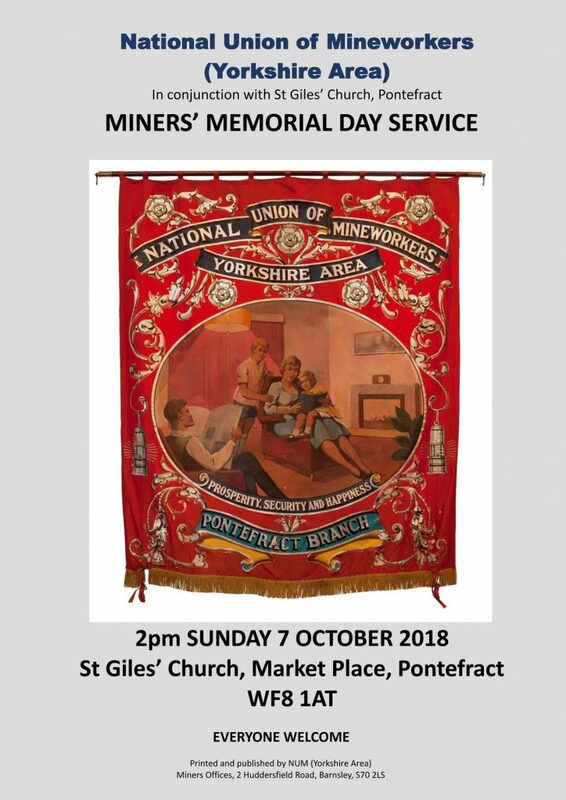 Just as with the Durham Gala, miners are proud of their contribution to the economy and local community as the townspeople are of them. It was a great honour to be invited to attend the unveiling of a giant miner’s lamp in the local park in recognition of the miners’ contribution to the town and local economy. 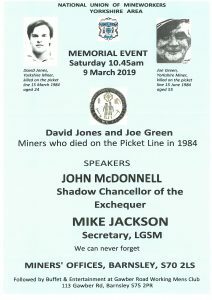 Meetings took place between the NUM and PRUP discuss the lessons that could be learned from the demise of the UK coal industry and how to continue the preservation of miners’ history through local museums and cultural contacts. 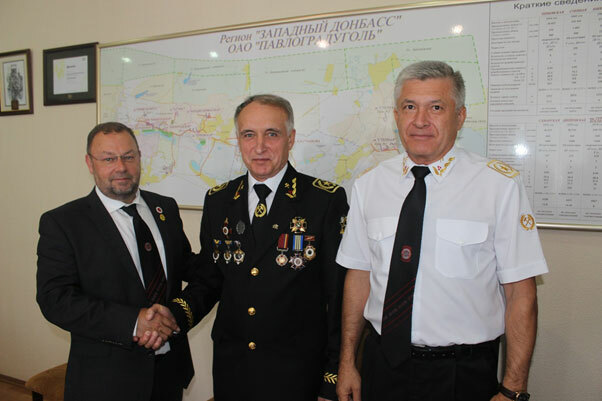 The delegation also met with the Mayor of Pavlograd and the head of Pavlograd coal to discuss issues around coal production and the development of new technologies. Other visits included a visit to the local branch of the equivalent of the British Legion which seeks to support those injured in the war or suffering from Post-Traumatic Stress Disorder. These volunteers include many local miners , who have themselves served on the frontline, work with the injured to help rehabilitate them, to cope with their problems physical or psychological and provide community support. 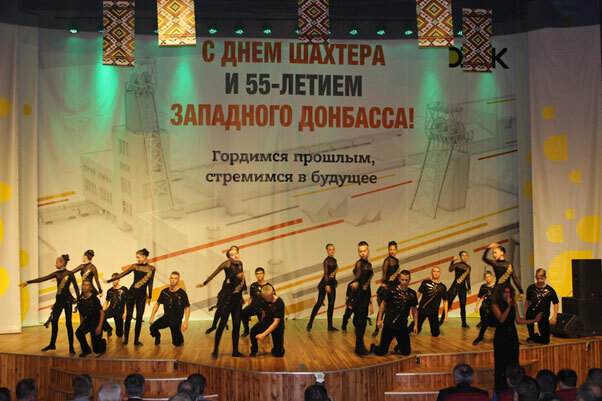 On the final day in Pavlograd, we were all taken to enormous indoor and outdoor concerts attended by thousands of local people to celebrate Miners day through music, dance and at the end, a spectacular firework display. 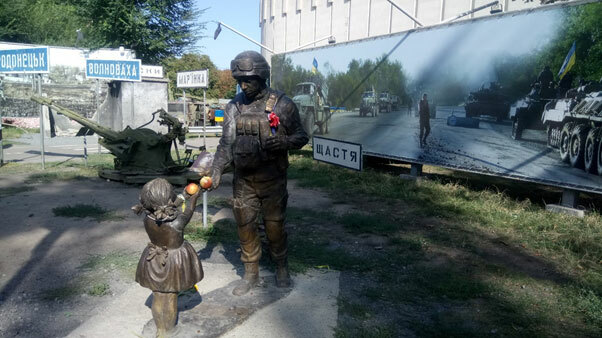 The bond between British and Ukrainian miners is strong. Whatever the government, whatever the country, miners are the same the world over and share a common bond. The importance to the Ukrainian miners of the international solidarity of the NUM cannot be underestimated. Its importance to the local community was shown by the tremendous reception the NUM received wherever they went. 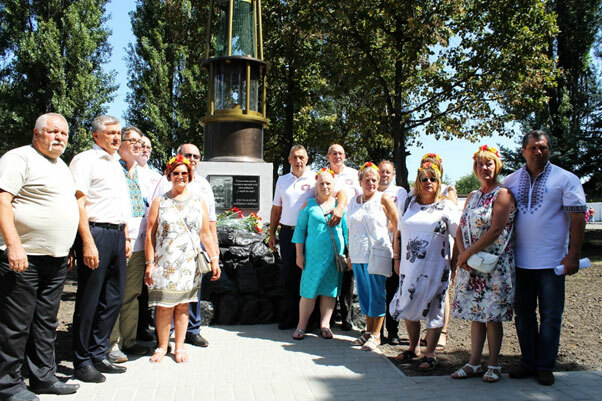 This NUM delegation on the 55th anniversary of the Pavlograd coalfield was exceptional, meeting not just union representatives, but company representatives, local miners, local families and young people. Everywhere the message was the same. Thank you for coming, it means a lot to us. Please come again.